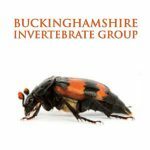 The Buckinghamshire Invertebrate Group (BIG) studies and records insects and other invertebrates in Bucks & Milton Keynes. We organise field trips, indoor meetings and training events, and publish an annual bulletin and other resources. Members have a wide range of interests, from microscopic rotifers to garden butterflies.